1. Joan Barreda Bort (ESP/Honda) 3 h 26:33. 2. Paulo Goncalves (POR/Honda) 17. 3. Ivan Jakes (SVK/Ktm) 1:35. 4. Ruben Faria (POR/Ktm) 1:43. 5. Toby Price (AUS/Ktm) 2:17. 6. Marc Coma (ESP/Ktm) 2:40. 7. Pablo Quintanilla (CHI/Ktm) 4:13. 8. Helder Rodrigues (POR/Honda) 5:25. 9. 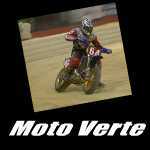 Alain Duclos (FRA/Sherco Tvs) 5:26. 10. Stefan Svitko (SVK/Ktm) 5:28. 1. Marc Coma (ESP/Ktm) 41 h 43:03. 2. Paulo Goncalves (POR/Honda) 5:12. 3. Toby Price (AUS/Ktm) 31:43. 4. Pablo Quintanilla (CHI/Ktm) 33:15. 5. Stefan Svitko (SVK/Ktm) 48:07. 7. David Casteu (FRA/Ktm) 1 h 46:51. 8. Laia Sanz Pla-Giribert (ESP/Honda) 2 h 13:20. 9. Ivan Jakes (SVK/Ktm) 2 h 24:46. 10. Olivier Pain (FRA/Yamaha) 2 h 55:17.